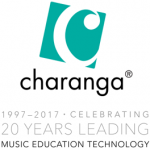 Charanga celebrates 20th anniversary 1997 – 2017 Charanga is proud to announce that 2017 is the twentieth anniversary of the company”s first music education technology product – Guitar Coach. For the past two decades Charanga has … read the rest. Charanga VIP Studio Sessions is very happy to introduce its second annual competition. 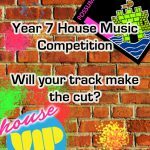 VIP users all across the UK in secondary schools, other educational settings and working on their own initiative are invited to upload tracks, … read the rest. 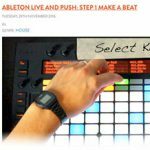 Charanga VIP Studio Sessions are very excited to launch a new set of resources: Getting Started with Ableton Live and Push. Live now, the resources are set to form the core of a large scale project across … read the rest. Charanga’s VIP Studio Sessions announced the first annual competition winner as Jake ‘JLB Subzero’, from Burnt Mill Academy in Essex. 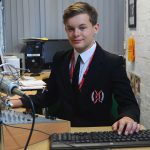 Jake produced the winning track, out of hundreds of entries from secondary school students across the … read the rest. Charanga’s VIP Studio Sessions are pleased to announce the launch of the new Project Plans for Years 7 & 8 for this autumn term. Designed for secondary teachers and music workers to run projects using VIP’s online … read the rest. We have some very special winners here: With 203 tracks uploaded (203!) Castleford chose winning tracks to be compiled onto a CD which will sold in the school. Here at VIP we were very impressed by … read the rest. “We all have a voice, we can all sing. It doesn’t matter how your voice sounds, if singing brings you joy then just get on and do it!” Brendan Reilly, singer-songwriter, featured artist with Disclosure, Basement … read the rest. Charanga is delighted to announce the launch of a new SEND/ASL section within its award-winning Musical School programme for Primary and Special schools. 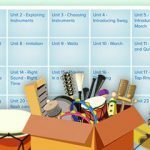 Musical School is now being used by over 7,000 UK schools to provide … read the rest. Friday Afternoons 2016 Resources Now Available In Charanga. 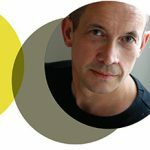 Friday Afternoons is delighted that Charanga has produced interactive resources for six of this year’s new set of Friday Afternoons songs, composed by Jonathan Dove and Alasdair Middleton. The six songs are part of a larger … read the rest. 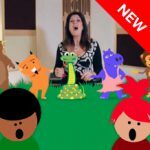 Musical School is the award winning online music programme from Charanga now being used by over 7,000 Primary schools to support their music teaching. Following our big survey earlier this year, we’re delighted to be launching … read the rest.